Roleplay of the Week - the Staff's Choice! Thread: Roleplay of the Week - the Staff's Choice! Each week on RPA, the staff selects an interesting, potentially great new game, submitted by you, to showcase as the Roleplay of the Week! We've proudly carried on this tradition since all the way back in '09, and with so many new and amazing roleplays being created on RPA each day, the staff have decided a new feature is in order to celebrate our members creativity and talent. 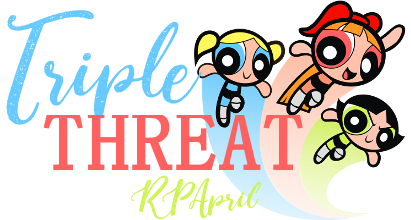 From now on, alongside our traditional Roleplay of the Week, a second, promising new game will be chosen each week by our very own staff members, and showcased in the RP of the Week forum and on the RPA Homepage! If you have a game you would like showcased, we still encourage and accept submissions to the original Roleplay of the Week, which will remain a separate feature of the site. Last edited by Preach; 12-31-2014 at 02:07 PM.